Late nineteenth-century gold rush communities in southern Idaho’s Boise Basin were often home to diverse and international populations. Among this population were many Chinese immigrants who, although mostly male, also included women and children. Though their tenure in the region was brief, the Chinese men, women, and children of the Boise Basin helped to shape the communities and the landscape that define the region today. Chinese immigrants began arriving in the mountainous and mineral-rich Boise Basin in the 1860s. Their population expanded following the repeal of a local law excluding Chinese miners from the Basin and the departure of European Americans as easy-to-work claims were exhausted. In many cases, Chinese immigrants purchased claims abandoned by others, thus revitalizing local economies. 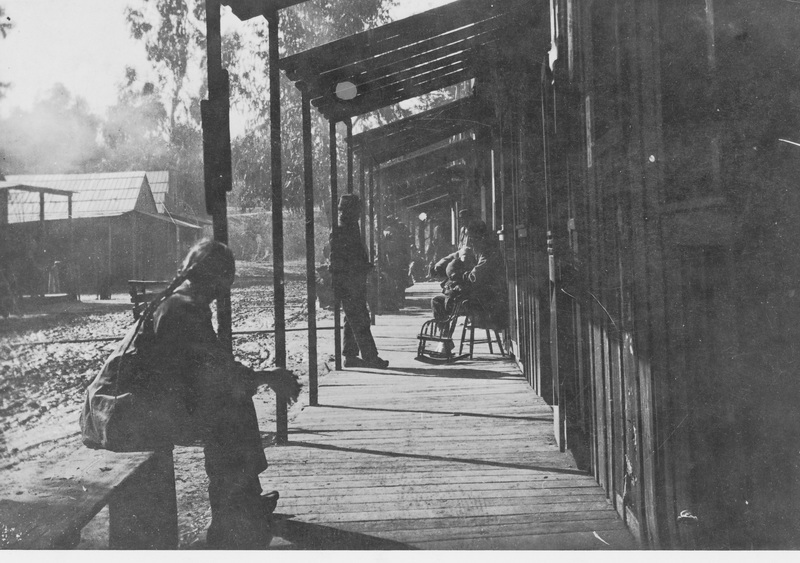 Others entered the Boise Basin as entrepreneurs and began providing goods and services to a growing population. 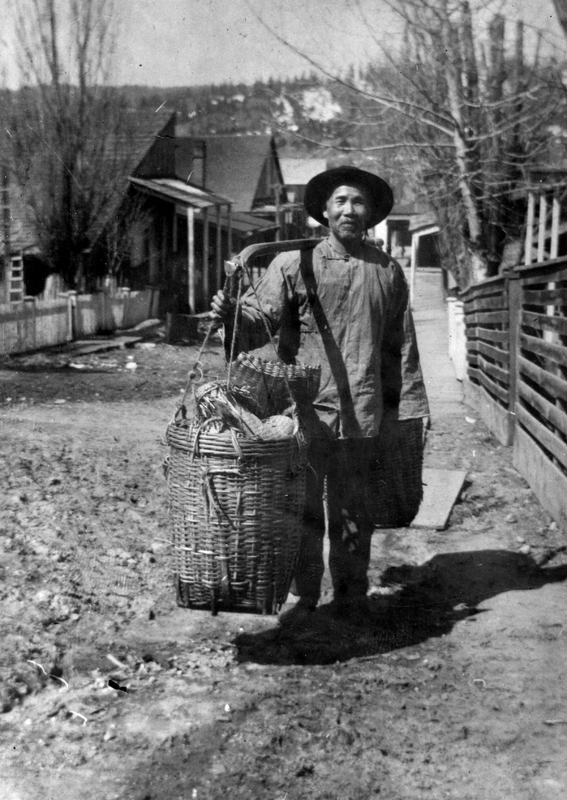 Between 1870 and 1890, places like Centerville, Pioneerville, Placerville, and Idaho City were home to over 1,500 Chinese individuals who accounted for nearly 50 percent of the local population. As in other historical Western communities, most Chinese immigrants were men. Despite arriving in smaller numbers and facing disproportionally restrictive legal and social barriers, Chinese women and children were nonetheless a part of the Western landscape in the late nineteenth and early twentieth centuries. By 1870 at least 54 Chinese women and 10 Chinese children were living in Centerville, Pioneerville, Placerville, and Idaho City. Late nineteenth-century census data describe most single Chinese women as prostitutes or placer miners. These were not exclusive employment strategies, however. Both as wives and domestic laborers, Chinese immigrant women were part of households that earned a living by informally peddling goods or by operating stores, restaurants, groceries, or laundries. In addition to domestic and economic activities, historical Boise Basin newspapers indicate that Chinese immigrant women also regularly participated in weddings, funerals, and festivals, as well as local community and cultural events that would have made them an undeniable part of the social and economic fabric of the Boise Basin. Unlike in San Francisco and other urban locations, Chinese children in Idaho City were not excluded from public schools. As members of the diverse Boise Basin community, Chinese women and children interacted with their neighbors in a variety of capacities and helped to define the local character. For example, For Cue Di Sang, the granddaughter of Idaho City merchant Loke Kee and a second-generation Idahoan, formed a friendship with her European American neighbors that continued through correspondence for decades after her family relocated to China. Chinese exclusion laws and changes in mining technology drove most Chinese from the Boise Basin in the early twentieth century. 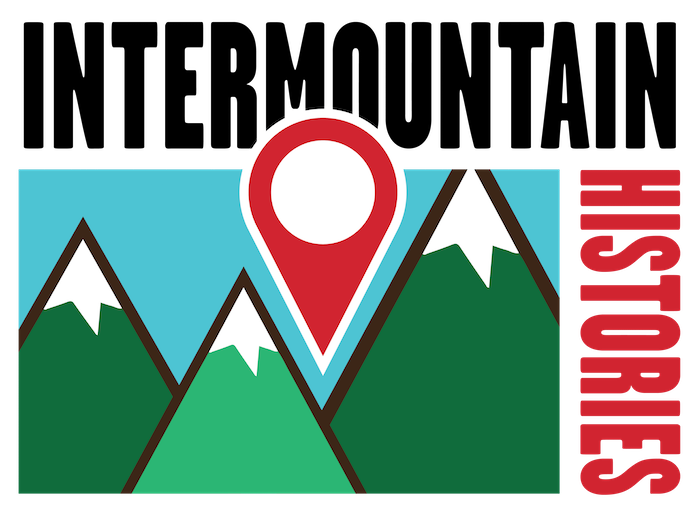 Mining has continued at a small scale but, currently, most economic activity centers around tourism and recreation in the Boise National Forest. The demographics have changed, but the legacy of the Chinese men, women, and children who contributed to the social and economic history of these communities endures in local historical museums like the Boise Basin Museum and the Pon Yam House in Idaho City. Over a century of mining, much of which was carried out by Chinese immigrants, has left an undeniable imprint on the landscape of the Basin. Visitors can see the sheer scale of this impact in the vast array of mining features that are the backdrop for recreation activities in the Boise National Forest today. Renae Campbell, University of Idado, “Chinese Pioneers of the Boise Basin,” Intermountain Histories, accessed April 19, 2019, https://www.intermountainhistories.org/items/show/141. Idaho Semi-Weekly World. “Celebrating the Birth of a Chinese Goddess.” 11 August, 1876. Idaho Semi-Weekly World. “Chinese American Wedding.” 13 December, 1887. Idaho Semi-Weekly World. “A Chinese Funeral.” 15 May,1877. Idaho Semi-Weekly World. “Fifteen Chinese Women.” 28 May, 1876. Peffer, George Anthony. If they Don’t Bring Their Women Here: Chinese Female Immigration before Exclusion. Urbana: University of Illinois Press, 1999. US Bureau of the Census. Ninth Census of the United States (1870), Idaho Schedule 1 (Centerville, Pioneerville, Placerville, and Idaho City). US Bureau of the Census. Tenth Census of the United States (1880), Idaho Schedule 1 (Centerville, Grimes Creek, Pioneerville, Placerville, and Idaho City). Wegars, Priscilla. “Besides Polly Bemis: Historical and Artefactual Evidence for Chinese Women in the West, 1848–1930.” In Hidden Heritage: Historical Archaeology of the Overseas Chinese, edited by Priscilla Wegars, 229–254. Amityville, NY: Baywood Publishing Company, 1993. Wegars, Priscilla. 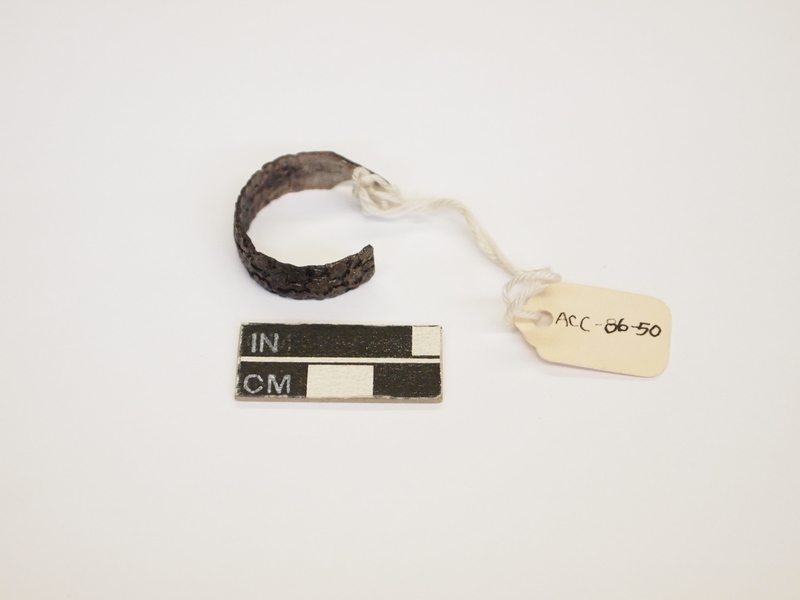 Centerville, Idaho: Final Report on the 1993 Archaeological Excavations. Moscow, ID: Alfred W. Bowers Laboratory of Anthropology, University of Idaho, 1995. Yung, Judy. 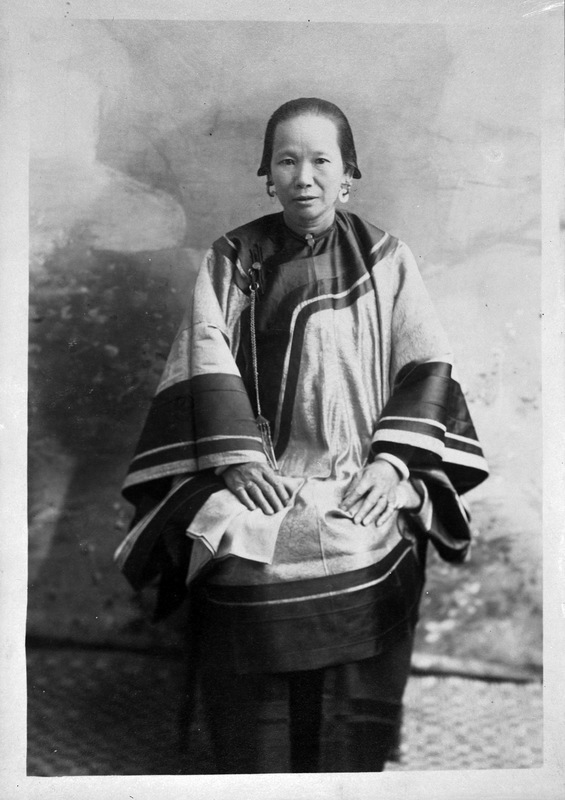 Unbound Feet: A Social History of Chinese Women in San Francisco. Berkeley: University of California Press, 1995. Zhu, Liping. A Chinaman’s Chance: The Chinese on the Rocky Mountain Mining Frontier. Niwot, Colorado: University Press of Colorado, 1997.